During the research for this site, we have found many references to Charmandean over the years. Some are related to the school, some Charmandean Estate, and some about the people. We have recorded them here in a 'History Snippets' page, of which some make interesting reading! Citation: British Newspaper Archive (https://www.britishnewspaperarchive.co.uk/ ) and other sources for some of this information. October 26th 1929 - A Charmandean School pupil was fined at Steyning Petty Sessions charged with dangerous driving - the headmaster's car (which was a 10hp 2 seater sports car), which collided with a herd of cows. Saturday 13th February 1926 - The Worthing Herald reported the death of Mr Thomas Dyer Edwards, who died on February 10th aged 78. The Council of Sussex County Agricultural Show was in negotiation with Mr Edwards with a view to the County Show being held at Charmandean in 1927, but no agreement had been met prior to his passing. On Sat November 6th, 1926, complain letters were written to the Herald, stating, 'it is the intention of the developers to build houses, detached and semi detached, of a value of £1000-£1350, and while the trees will be preserved, it is not likely they will be able to hide the unsightly garden walls or fences. 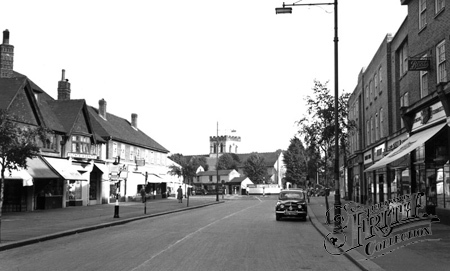 Residents of Broadwater recall 'these were truly the days of Upstairs Downstairs with local girls employed as domestic staff and young men as gardeners, grooms, and so on. Everything had to be just so, and it was hard work in those days. I remember when there were cows and sheep along the driveway that led to Charmandean. 26Feb1926 - In a reference to the invitation given 'o the Sussex County Agricultural Society to hold their annual show in the Worthing district in 1927, the report stated that a Sub-Committee were appointed to consider the question of possible sites, the invitation being sent forward by the Town Council and accepted by the Committee of the Society subject to a suitable site being available. Charmandean was fixed upon as an admirable site, but unfortunately the necessary consent could not be obtained, and unless an alternate site was found, the Show would have to be held elsewhere. 26Aug1942 - Small bore rifle meeting took place in Charmandean Pit, organised by No.5 Platoon, H.Q. Company of Worthing Home Guard. 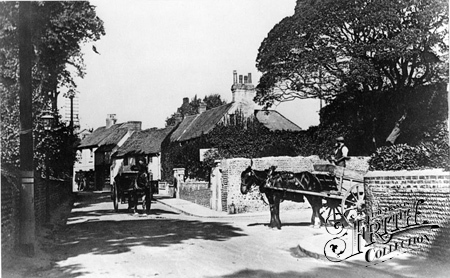 06Jul1927 - Request from developers of the Charmandean Estate for the council to lay the main road sewer along Upper Brighton Road, and objecting to the council`s request for granite kerbing, as concrete kerbing would save c.£1,000. 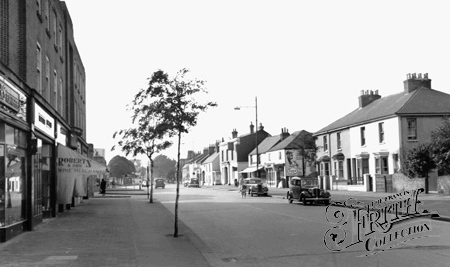 17Nov1926 - Upper Brighton Road. PROPOSED WIDENING PAST CHARMANDEAN. To the Editor of the Worthing Gazette. '• A plan for the widening of the Upper Brighton Road between Waterworks-lane [now Hill Barn Lane] and Charmandean Lane to 60 feet was approved by the Town Council many months ago, and the Town Clerk was authorised to negotiate with the owners of the adjoining land. 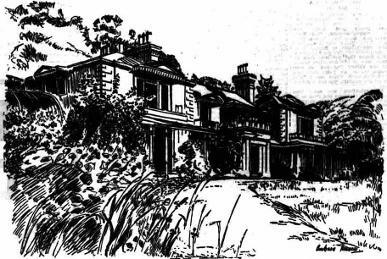 Mr. Allerton has now reported an offer from Messrs. Charles and Malcolm, on behalf of Messrs. W. E. and F. Wenban Smith, for the sale of the frontage between Waterworks-lane and Charmandean Lodge for £180. The Town Clerk also reported that, owing to a recent change in the ownership of the Charmandean Estate, the Surveyor considered it possible that the proposed widening could be effected on the north side throughout, as originally, intended. 05Jan1927 - ROTARY MEADOW: A HANDSOME GIFT. Rotary Camp Meadow, the equipped Sports Ground of about 8 1/2 acres between Waterworks lane and Charmandean, has been offered to, and accepted by, the Corporation for the purposes of a recreation ground for juveniles. 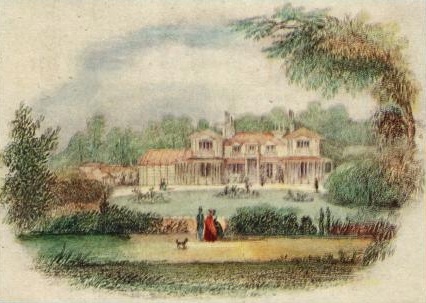 The ground has been purchased and equipped by the Worthing Rotary Club, who, without placing any restrictions upon the conveyance to the Corporation, suggested that it should be used as a spoil ground for juveniles and that preference should be given to the Rotary Boys' Work Committee to the extent of reserving one cricket and one football pitch if desired. While, accepting the gift with grateful thanks, the Finance and Law Committee said they felt that the acceptance should not be accompanied by any conditions, either expressed or implied. Alderman DENTON explained that really the Committee appreciated very much both the work of the Rotary ('tub and the generous offer that the Club were making to the town (hear, hear). One did not like to look a gift horse in the mouth, and if this offer had been made to any of them in their private capacity perhaps they would not have thought of doing so, but in accepting the gift on behalf of the town, they had to look a little further into it. The deputation front the Rotary Club who waited on them were very kind, and he thought that the majority of them saw the Committee's difficulties. In the interests of the rate payers - and this ground would cost them something like £400 a year to keep up -they felt that they ought to have free and unfettered use of it. The restrictions that the Club wished to impose were very small ones, and the Committee hoped that they would not be pressed. Alderman DUFFIELD wanted the Council to realise what a handsome gift this was on the part of the Rotarians of the town. He did not want to do anything to jeopardise the gift. There were no restrictions whatever on the conveyance: all the Rotary Club had done was to express a pious hope that, long as their desire did not clash with the best interests of the town, they would like the ground to be used as a sports ground for juveniles, preference to be given to the Boys' Work Committee to the extent of reserving one cricket pitch and one football pitch if and when desired. He took it they were all prepared to accept this gift as a recreation ground for juveniles. Some of them remembered the Victoria Recreation Ground. That would never have been purchased had it not been thought that it would provide a playground for the juveniles in that neighbourhood, but was it a recreation ground for children today? 19Jan1927 - On Wednesday next, CHARMANDEAN," BROADWATER. WORTHING. About One Mile from Worthing, on the main Brighton-Chichester Road. POWELL & Co. will sell by Auction, the Premises, by order of the Exors. of the late Thomas Dyer Edwardes. Esq. 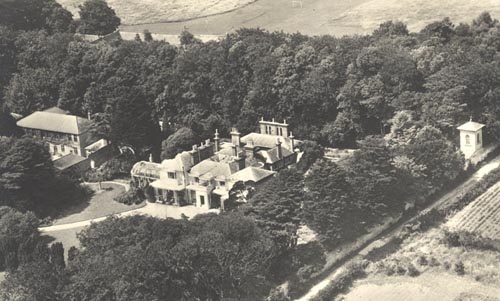 (the Estate having been Sold) on WEDNESDAY, JANUARY 26th, 1927, at 11.30, the valuable remaining FURNITURE including mahogany wardrobes, ash bedroom suite, bedsteads, Turkey and other carpets, window draperies, settees, marquetry and mahogany china display cabinets. easy and occasional chairs and tables carved oak sideboard, oak writing desk ’carved oak and glazed bookcase, 15ft’ , VALUABLE ORIENTAL AND DECORATIVE CHINA, grandfather 8- day clock, bronzes, books, china, glass, pony and luggage cart, garden tools, plants and outside effects. On view the day previous to the Sale (10-4). Catalogues from the Auctioneers, The Estate Offices, Lewes. 'Mr Mansel, expressed his admiration of the chancel arches, which he considers among the most beautiful and well-preserved examples of Norman work of the kind. He indicates examples both within and outside the church of the periods of transition from the Norman to the Early English and thence to the later Decorated styles, transitions which are well illustrated. Structure of the Tower - Previous to this - as old illustrations show, the tower was surmounted be a short spire. This was removed and a small beacon tower or turret erected in its place. When this later removed and the present embattled parapet work was added to the upper portion of the tower. Otherwise, the tower as it stands, is of twelfth century construction. When the chancel was restored in the time of Rev. E King Elliott considerable additions were made to the east end of the chancel involving the introduction of a new window and displacing one of which a half of the window occupies a position in the wood at Charmandean having been removed by the late Mrs. Thwaites, who was a generous donor to the restoration of the chancel and the other half of the window of the Decorated period has disappeared. Many thanks for your drawing of Charmandean in your issue of November 20. It is with mush sorrow and regret that I learn that this wonderful old place is doomed to come down in the very near future. What can people be thinking of to scrap in five minutes that which has taken more than a century to build up ? Priceless treasures have been kicked to pieces by local manhood, and it is no credit to anyone to see marble statues from Italy cast into a heap minus arms and noses. Thank heavens, the Forestry Commission have put a preservation order on some of the trees, so at least we shall have these to remind us of those beautiful bygone days. I had such pleasure looking at the very fine sketch in your paper. The interesting facts about the original Mrs. Thwaytes have aroused my curiosity Are there any living relatives? Is she buried in Sussex? If so, I shall pay my respects to her grave and bless her for having created so much beauty that has given me so much pleasure. I first knew the estate 30, perhaps 40 years ago, when we went with a Sunday school treat to visit for the day. What a joy! Scrambles for sweets thrown from a bottle on to the cow-soiled grass. My, how we ran! We are a little more hygienic to-day, though do we have such fun ? With reference to the ride in white at the full moon, my friend Mr. Linfield tells me that as a lad he saw and heard a "ghost" in the drive up to the house one night, and reported it to the local authorities, who subsequently went up and found it was white peacocks! Would you please give the artist my sincere congratulations on having done such a superb job on the old house. MINNETTA L. RISHWORTH, 33a, St. George's-rd, .Worthing. A FARMER returned to his land near Cissbury last week after holiday and found haystacks pulled apart, a tractor’s tyres let down and rubbush stuffed into the fuel tank and the driving belt cut. After putting the tractor into working order again he left it the a lane for hour at Friday lunchtime, and returned at about 2.45 pm - to find the tyres let down, rubbish stuffed into the fuel tank and the belt cut. 'We have been suffering from this sort of thing for a long time', the farmer, Mr M. C Granshaw, who runs about 140 acres on Tenants Hill, told the Herald, but it has been getting progressively worse. “We get these gangs of four or five boys—about 14 years old —who have nothing to do. The amount of wilful damage done to Charmandean itself just appalling. It is getting worse up here because they find it it easy to get away afterwards into the estate. “There are 3-400 acres of open land around us and it would take a force of 100 policemen to give us proper protection." The Mayor and Mayoress, . Ald. and Mrs H L. Frampton, were among 140 people who visited Mr A. L. Clifford’s garden at Haldon (No. 8) First-avenue, Charmandean, on Sunday. The weather was cold but bright and the garden looked wonderful. Mr Clifford opens his garden with its magnificent Japanese azalea beds each year as part the National Gardens Scheme which is principally in aid of annuities for Older District (Retired) Nurses.